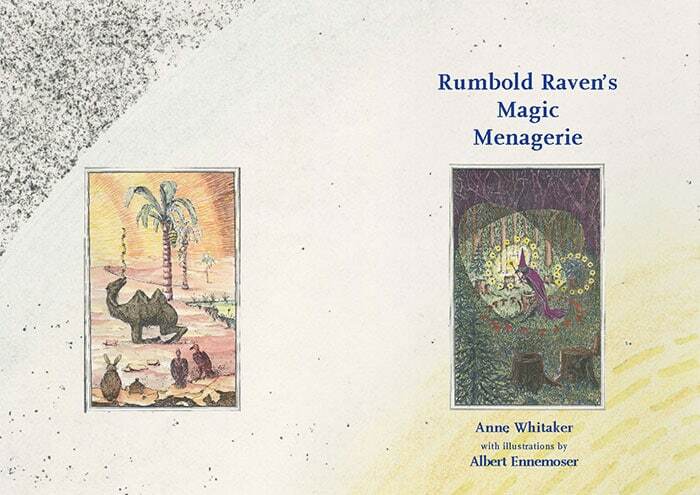 ‘Rumbold Raven’s Magic Menagerie’ is a collection of poems by Anne Whitaker, illustrated by Albert Ennemoser. 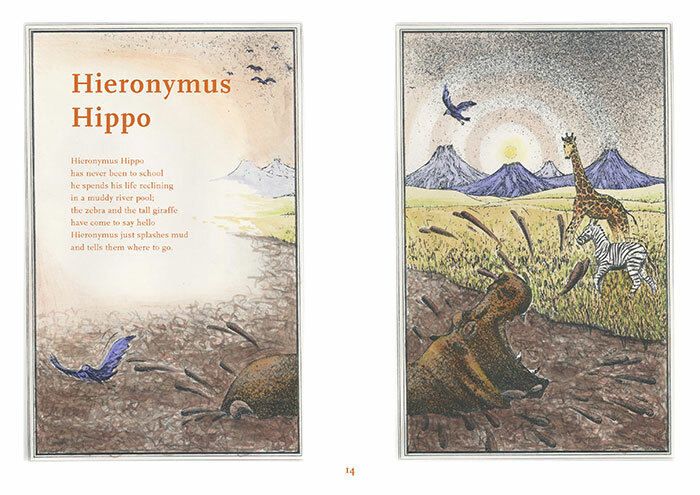 The poems were written to alleviate boredom during an especially uninspiring series of lectures – on childhood development, which were part of a postgraduate course Anne attended during 1977-8. Anne’s friend Albert Ennemoser, a very accomplished artist, was at that time about to become a student at Glasgow School of Art. 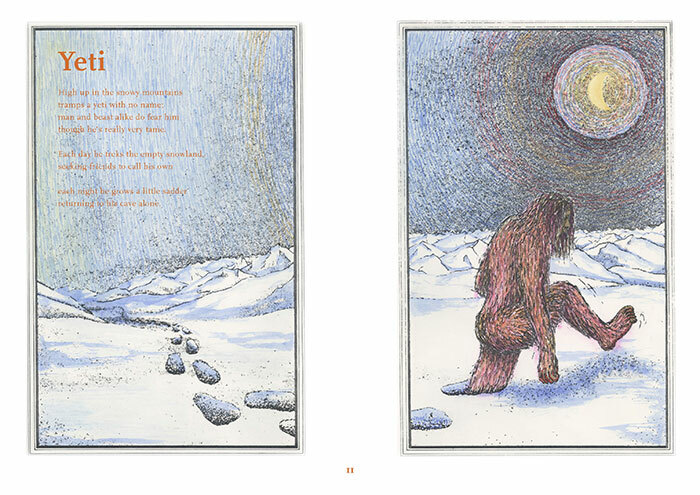 Loving the poems, he was inspired to illustrate them in vibrant colour. 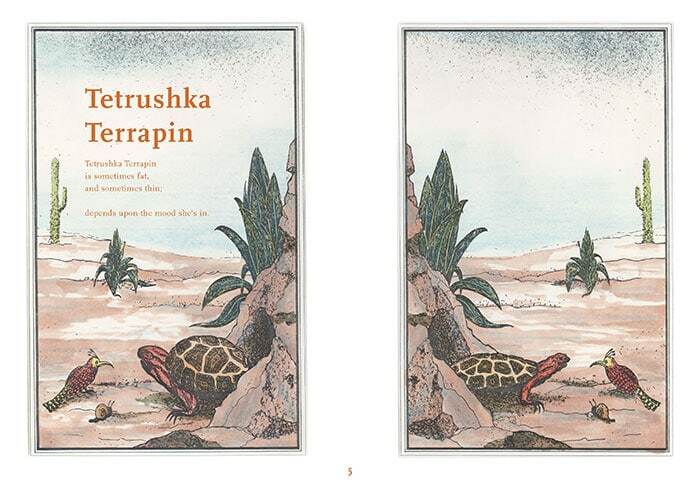 It was sent round several publishers who loved the book but it was too expensive to publish at the time. Anne recently found the original artwork – dusty but intact. 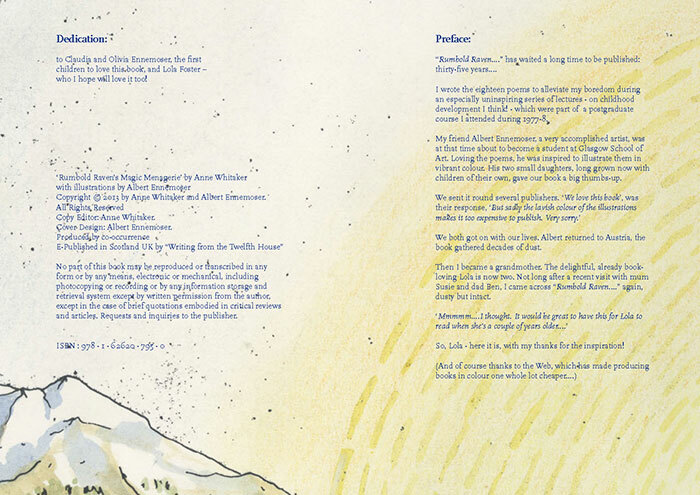 We scanned the illustrations and overlaid the poems in FF Scala and FF Scala Sans. 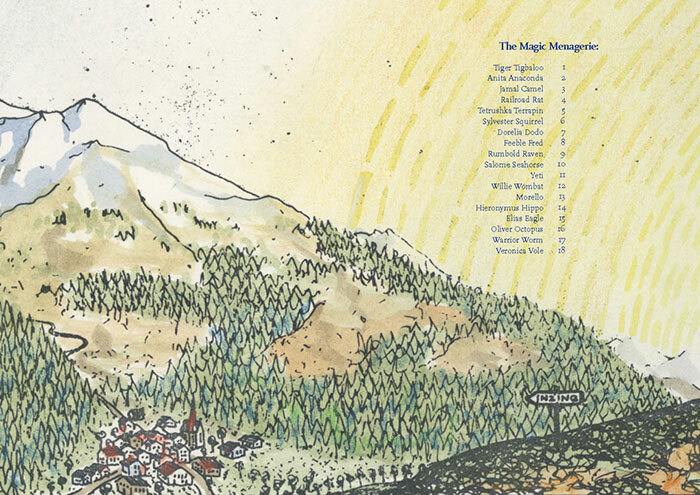 The book is available as a PDF for sale from Anne’s site Writing from the Twelfth House and you can read more about it there and buy it for $10.00.